At the “Wettiner Platz” an Indigo boutique-hotel with 132 guest rooms has been built. Until 2018 approx. 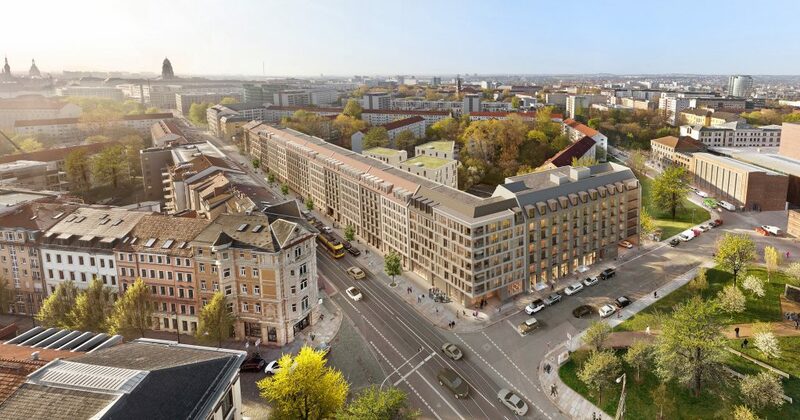 14.000 square meters of living space spread over 177 apartments have been built at the “Wettiner Platz” and along the “Schweriner Straße”. On ground floor retail spaces are provided. 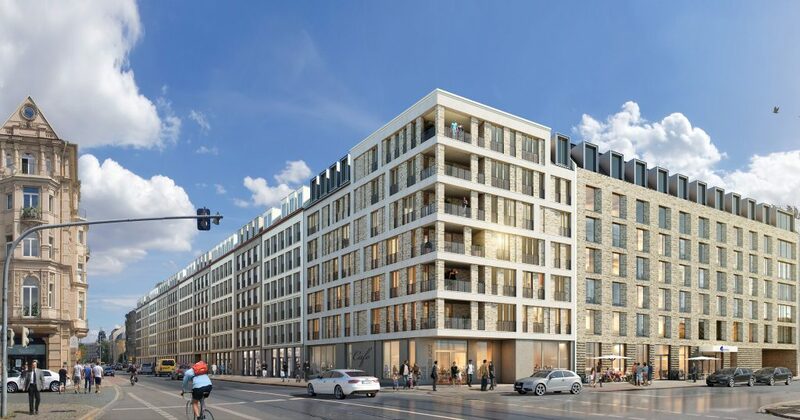 The design for the facade of the residential buildings along the “Schweriner Straße” was developed in a workshop method of “dd1 architects” and “h.e.i.z.Haus architektur.stadtplanung“.